I recently hosted a seminar on the subjects of customer loyalty, customer satisfaction and customer service. The seminar looked at why customers become loyal to a particular company or brand, how to build and keep long-term loyalty, and how to use it for the benefit of your organisation. The seminar was attended by 20 people from a range of private sector, public sector, and third sector organisations, and the feedback was very positive with two-thirds of attendees ranking the event “excellent” or “very good” in an independent anonymous survey. Several more seminars and training sessions are planned for Spring 2017 on subjects including customer loyalty, customer service, innovative marketing, communications and writing skills. What is the UK's worst hotel chain? A hotel chain owned by one of the richest people in the UK has come bottom in a satisfaction survey for the second year in a row. 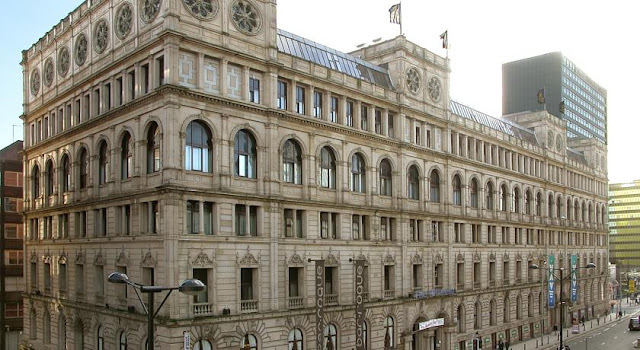 The Britannia hotel chain scored just 44 marks out of 100 in a study by the consumer organisation ‘Which?’. Britannia was the only chain in the survey to be awarded two stars out of five for comfortable beds and the condition of its bedrooms and bathrooms. The chain is owned by Alex Langsam, who has an estimated fortune of £220 million. Mr Langsam was dubbed “the Asylum King” after getting £14 million in a lucrative Home Office contract to house refugees in his budget hotels in 2014. The survey of more than 5,000 people, found that Britannia's rooms cost more than the top ranked Premier Inn hotel chain. Yet it was the only chain to get just two stars in five out of six categories. Regular readers of this blog will have seen my article relating to Leeds Rhinos Rugby Club (dated 08.06.16). In that article I talked about a customer service 'gaffe' committed by them, where they emailed their most loyal supporters offering a once-only 50 pence discount off the price of a match programme as a "special thanks" for their loyalty. Many of these supporters, like myself, spend hundreds of pounds each year on our season tickets and travelling to away games, so the 50 pence discount felt a bit like an insult, and the discount generated much negative PR coverage on social media. However, in today's blog article, I can report a great customer service success from the Rhinos. Why are customers loyal in some business sectors but not others?